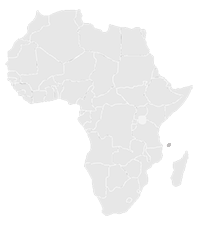 COMOROS: Trademark Applications | Smit & Van Wyk, Inc. Trademark protection is only obtainable via OAPI. It is not possible to obtain trademark protection via a national filing. Benin, Burkina Faso, Cameroon, Central African Republic, Chad, Comoros, Congo, Equatorial Guinea, Gabon, Guinea, Guinea Bissau, Ivory Coast, Mali, Mauritania, Niger, Senegal, Togo. Any trademark registered at OAPI is protected in all the 17 member states. Designation of countries is not required. (if applicable) A copy of home application, certified by the relevant Trademarks Office as a true copy thereof. If the trademark is a logo, please send electronically. Details of colours claimed, if applicable. (try to limit to 5 items per application, additional charges apply for each additional item over 5). The International Classification of Goods and Services is followed. Multi-class applications are possible; however, a single application can only cover either goods or services. If a trademark relates to both goods and services, two separate applications have to be filed – one for the goods and the other for the services. Informal search: 4 – 5 business days. Formal search: 2 – 3 weeks. From filing up to registration: 12 – 15 months. Opposition period: 6 months from publication. Duration: 10 years from filing date and renewable for further periods of 10 years. The informal search is done in an internal database of published trademarks. The formal search is conducted directly in the official trademarks register. Applications are examined for formal requirements only. If all formalities are complied with, a registration certificate will be issued. Registered trademarks are published for a 6 month opposition period. 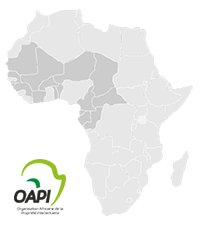 Smit & van Wyk, Inc. trademark agents in Africa: Our services include trademark applications, maintenance and protection for OAPI. The patent and trademark attorneys at our firm are dedicated individuals, skilled in their fields of practice, and can provide clear advice on complex legal matters to clients from all over the world.